Another moving day. We are moving on from Norfolk, it has been interesting but we agree that we preferred Suffolk. Our site at Bramble Park has been pleasant and every time a pitch has become vacant another van has arrived a few hours later. It is immaculately kept with the grass being cut almost constantly. There was a well-stocked information hut which was useful. My only gripe, and it is one that we keep encountering, was that the disposal point for wastewater was about eighteen inches off the ground. I think I am relatively fit and for a caravanner relatively young. But lifting a full wastewater container nearly had me phoning my GP for an appointment for a hernia operation. I think I will start a campaign on this issue. We drive through north Norfolk, around Kings Lynn and up to Boston. Gosh it is flat. We visited this area when my mucker Will was working in Boston, but I had forgotten how flat it is. Shortly after Boston Lyn came out with one of those classic quips that only a girl from Dorset can come up with. For example, a number of years ago as we were heading from Taunton to Exeter to catch an early morning flight for some winter sun, she looked out of the window and said “Look at all of those Cauliflowers”, I glanced across and informed her that they were sheep in a field of kale! Today’s classic almost surpasses that. We are driving through an area where there is a lot of arable agricultural activity. Lynnie asks, “Is this where they grow the frozen peas?” I am still chuckling almost an hour later. After pitching at our new site we go for a walk. The site owner has told us about a “must do” scenic walk in a glacial valley called Hubbard’s Hill leading into Louth. We wander across the golf course (mainly on a footpath until we miss a waymarker) and down to the entrance to Hubbard’s Hill. Climbing steps we walk along the top of the valley, there is a steep drop to our left but it is a very attractive walk taking us into Louth. We decide to wander around the town to get our bearings. It is packed with bikers. And I do mean packed. 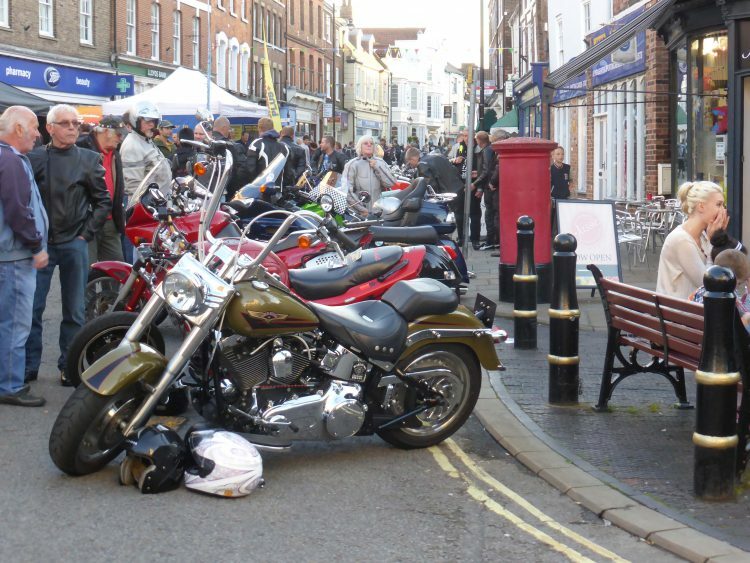 It is Louth’s Third Annual Bike Night and there are an estimated 3,000 bikers in town. A live band belt out old rock numbers from the back of a trailer and there are loads of food vendors on the streets. 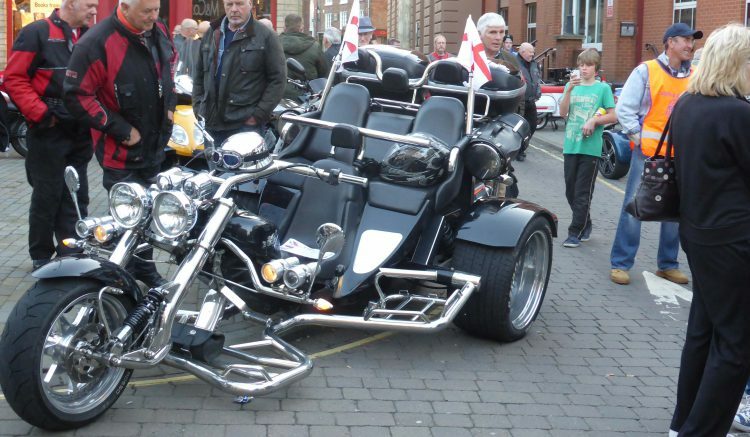 There are motorbikes of all shapes and sizes (and leather clad bikers of all shapes and sizes too). 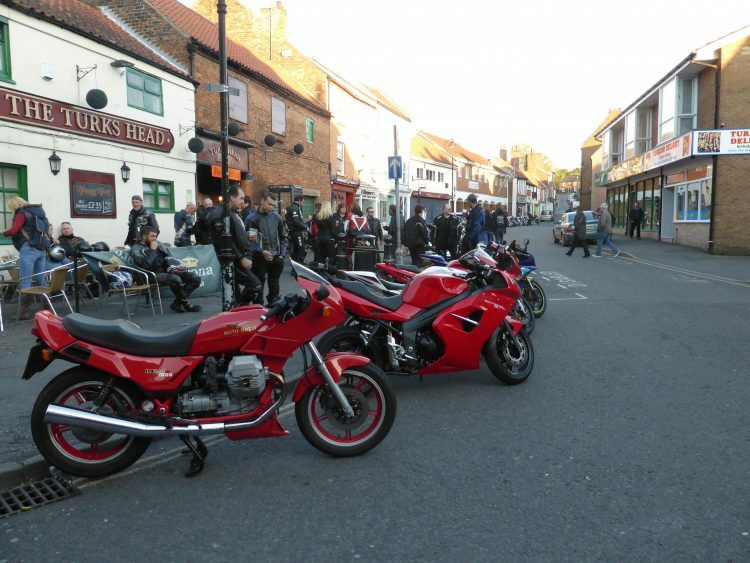 We comment how uncomfortable we would have felt in our teens finding ourselves in town surrounded by bikers! These are biking enthusiasts, mostly older than us. I have never been into bikes. I had a Yamaha FS1E when I was a lad and as soon as I was able to drive a car vowed never to ride a motorbike again. 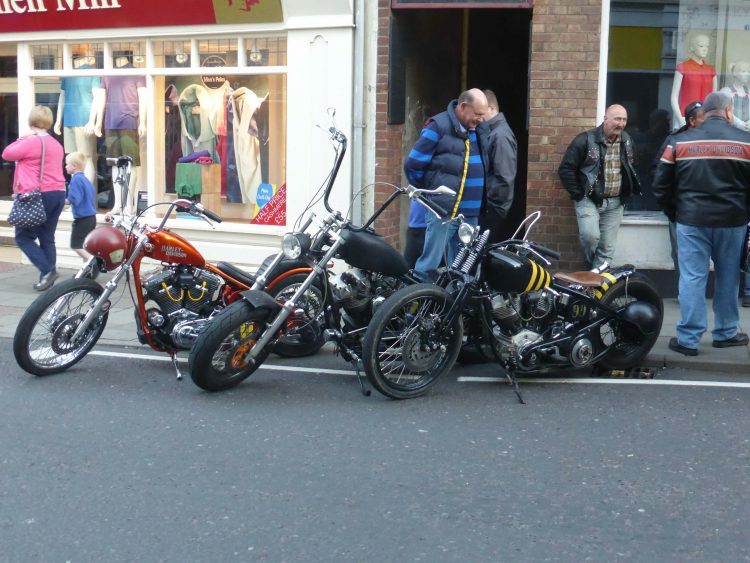 But the sight of some of these bikes tempts me. 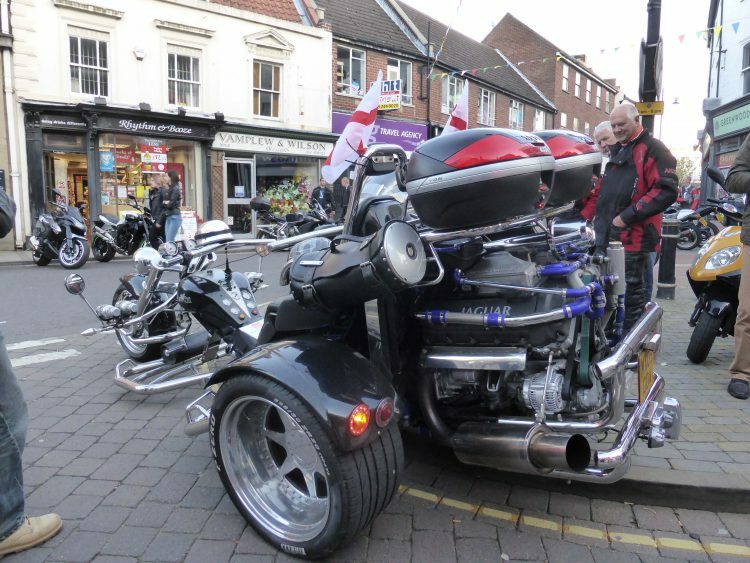 The ones I particularly like are the three wheelers. First we see a Honda Goldwing but around the corner is a Jaguar, I have never seen a bike like it. As one old biker observed “He must need to stop at every petrol station he sees”. I know what I meant! The cauliflower sheep were an aberration caused by a misty early morning and no glasses!